It’s not your first rodeo. You knew this leg of the cruise was a big chunk to bite off. So did your crew. And as the sun set and visibility degraded, they began to lend a hand with keeping watch and readying the boat to anchor for the night—without you even having to ask. How cool then that you, as the skipper, can reach way back in the fridge for that jar you stashed (in a brown paper bag)? And instead of a wedge of cheddar and some (possibly stale) Triscuits, you can trot out a big jar of peppery pickled shrimp for the crew cocktail hour. They didn’t have to ask, either—they earned it. 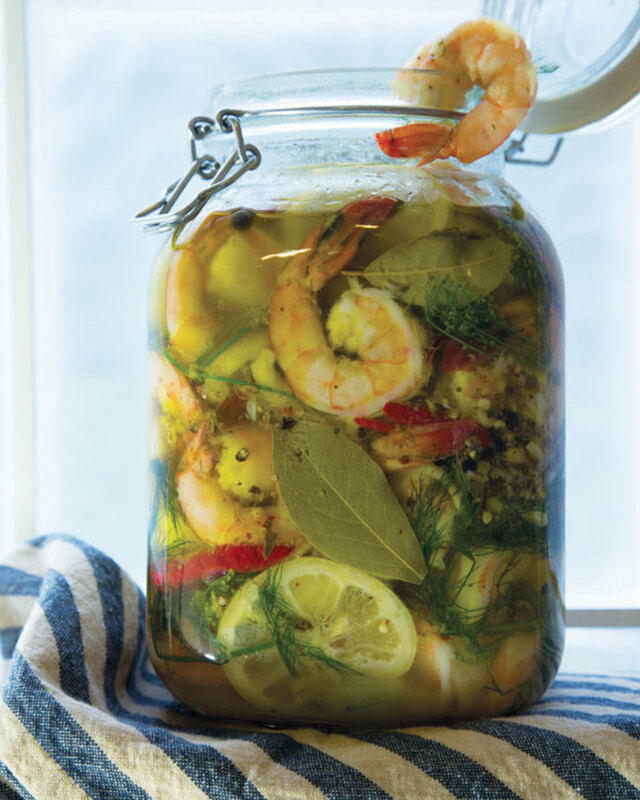 Here&apos;s the recipe for Icy Spicy Pickled Shrimp from the Field to Table Cookbook by Susan L. Ebert ($40, Welcome Books, 2016). When thoughts of spicy, brined shrimp in chilly repose keep you awake at nights . . . well, don’t say you weren’t forewarned. Eat ’em on salads, eat ’em in avocado halves, eat ’em with crusty French bread to sop up the spicy, garlicky oil . . . or just eat ’em out of hand. Place the peeled, deveined shrimp in a colander. Fill a 5-quart stockpot halfway with water, add the Steamin’ Spice or other boiling spice, and bring to a boil over high heat. Drop the shrimp into the boiling water and cook for exactly 2 minutes. Drain in a colander. 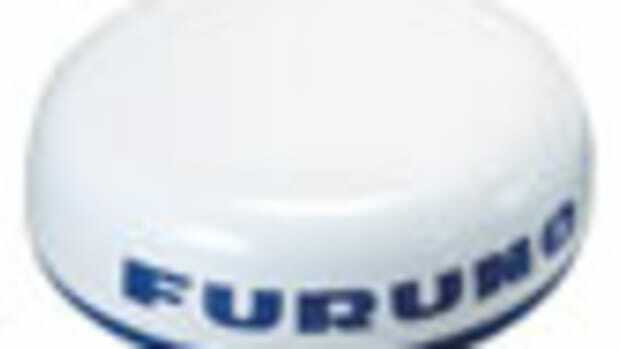 In a large bowl, combine the lemon juice with all the remaining ingredients except the oil. Add the shrimp, and toss gently with your hands. Place the shrimp in a clean half-gallon jar with a tight-fitting lid (or divide equally between 2 quart jars), pour in enough oil to cover the shrimp, and refrigerate for at least 6 hours or overnight before serving. May be refrigerated for up to 1 week. I make this spice mix and store it in a 48-ounce plastic rice container; it allows enough headroom to shake up the herbs and spices, plus has a wide mouth and tightly fitting screw-on top. Yields about 2 1/2 cups. Measure the cloves, allspice, peppercorns, and coriander into a muslin sack (or cut a 20- by 10-inch piece of an old pillowcase or other soft cotton, fold it in half lengthwise, and stitch up two sides to make a 10- by 10-inch sack). Use a mallet to crack the spices on a driveway or sidewalk (editor’s note: Be gentle if you do it on the dock!). Put them into your airtight container with the remaining ingredients and store ina cool, dry place.